The game fenced ±432 acre Rosita Creek Ranch is for sale. A turnkey Whitetail hunter’s paradise in South Texas. 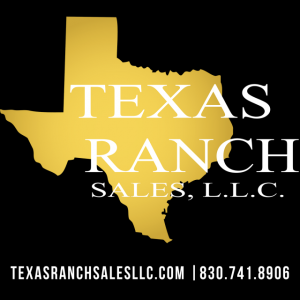 Located an hour and a half west of Corpus Christi and two hours south of San Antonio, the ranch is just nine miles from Freer, Texas. The ranch was formerly part of the historic 10,000 acre Hubberd Ranch, established by William Hubberd in 1876. Truly exceptional Whitetail hunting can be an elusive objective even in South Texas, the capital of quality Whitetail in the Southwest. So many elements must come together to put the perfect Whitetail deer in your sights: superior genetic stock, optimal terrain, high quality forage and cover, water, and support infrastructure. However, on occasion, all these elements come together and The Rosita Creek Ranch for sale in Duval County, Texas is just such an opportunity. The ranch has engaged in a high quality breeding operation for four years. The Rosita Creek Ranch Whitetail herd was developed from stock purchased from the famous White Ghost Ranch. Does were bred with White Ghost’s outstanding breeder bucks Mr. G, Gigem Bonfire, and Sancho. These first-class genetics have paid off, producing large framed bucks with beautiful wide typical racks that are prized by hunters. The Rosita Creek Ranch breeding operation is classified Category 1 by the TPWD and consists of three acre-plus pens with extensive predator protection and plenty of trees and cover for a safe and healthy herd. Using focused hunting of the native deer, the ranch is 100% populated with the genetically enhanced deer from the breeding operation. The breeding facility is producing over 40 fawns per season, generating plenty of stock for continued release to the ranch and the option of selling stocker bucks, breeder bucks, and bred does for a source of income. Hunting blinds and feeders are positioned in well-placed senderos across the ranch. Year round hunting opportunities are available with plenty of turkey, dove, quail and javelina. A solar powered well provides ample water to keep the 12,000 gallon concrete cistern full. The cistern provides storage for gravity fed water system consisting of six water troughs in the breeding pens, a large round concrete water trough for wildlife, and other water access points. Overflow from the water well is directed to a natural pond in the Rosita Creek bed providing reliable, year-round access to water for deer and the abundant wildlife. The seasonal creeks, Rosita Creek and two major tributaries, that wind through the ranch for a total of approximately two miles, offer creek beds that range from bottomland meadows to deep ravines. The creeks are lined with dense vegetation and many large trees. The preserved native brush and trees provide prime habitat that will support a much larger than average deer population per acre. There is a good system of caliche roads and senderos which provide good access throughout the ranch. This property offers many options for further development of hunter accommodations. Presently there is a small cabin with a loft and kitchen that can sleep seven. A 40-foot metal shipping container has been modified to provide lighted storage and a workshop for the breeding operation.